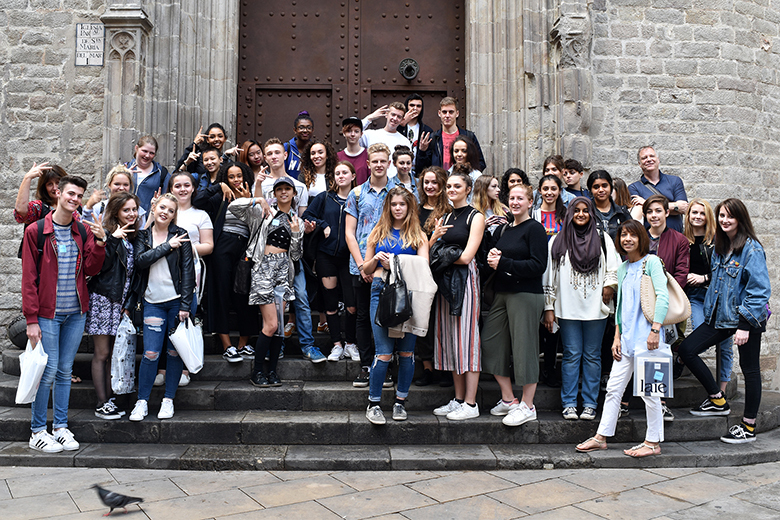 Art students from The Sixth Form College, Solihull supported their learning by immersing themselves in the art, architecture and culture of the Spanish city of Barcelona recently. The A level and BTEC students spent four days in the Spanish city taking in the sights, which included the city’s most famous landmark, La Sagrada Familla, an astonishing unfinished church designed by Catalan architect Antoni Gaudí. Another of Gaudí’s creations was also on the agenda, as the students visited Park Guell, a public park system composed of gardens and architectonic elements. Inevitably museums and art galleries were a big part of the trip and the students visited the Museu Nacional d’Art de Catalunya, which is especially notable for its outstanding collection of romanesque church paintings, and for its Catalan art. A visit to the Picasso Museum was also enjoyed by the students, as they saw another genre of artwork. Barcelona boasts impressive architecture at every turn, not least with the Casa Mila, also known as La Pedrera (meaning the ‘The Quarry’). It is a modernist building, designed by Gaudí and it was built between the years 1906 and 1910. Students had some leisure time in Barcelona too, when they had the chance to explore other parts of the city, including Castell Montjuic, Las Ramblas, Mercat de la Boqueria and Parc de la Ciutadella. They also got the chance to sample the cuisine in local restaurants too and visited the markets. The College offers three different Visual Arts A levels in Fine Art, Graphics and Photography, as well as a BTEC Extended Diploma course in Art & Design.